Since Badoo is a popular online dating site where there is high chances of getting a match. As you get a match it is better to delete the account. But if you don’t know that the match ill exist for long then it is better to disable that temporarily hides your account. 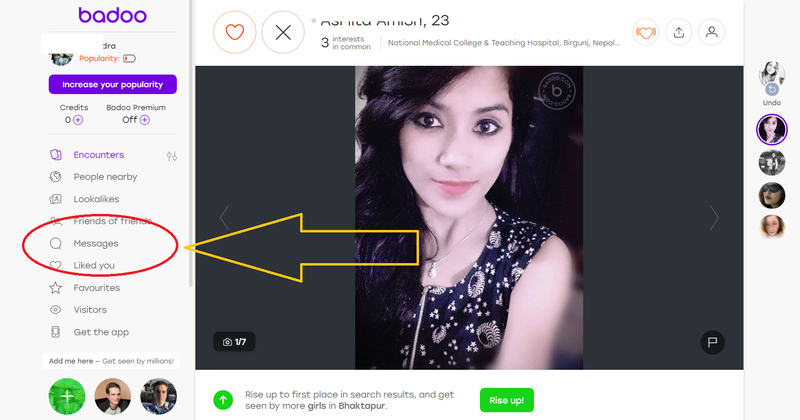 This won’t delete Badoo account but also won’t visible to others. First of all, you need to open the app. make sure that the app is properly installed. The app has the purple color icon with white ‘b’ letter. You just need the app icon and tap on it to open. As you open the app, you will see the profiles if you have signed in. If not signed in then sign in first. So, as you see the home screen, you will see the navigation bar at bottom of the screen. From that navigation bar, you need to tap on the head icon which is profile tab. as you enter the profile page, you will see the “Settings” section which you need to tap on it to open the settings. As you open the settings, you will see some section from which you need to tap on the “Account” button. Then in that screen, you need to tap on the “Delete account” text at bottom of the screen. As then you need to give the reason also. Reason will be suggested, and just need to tap on the “Delete your account” option and then tap n the “Continue” button. This will ask you for the authentication so, you will need to enter your login password and you will be verified and authenticated. After that your account will be deleted permanently i.e it will delete Badoo Account. 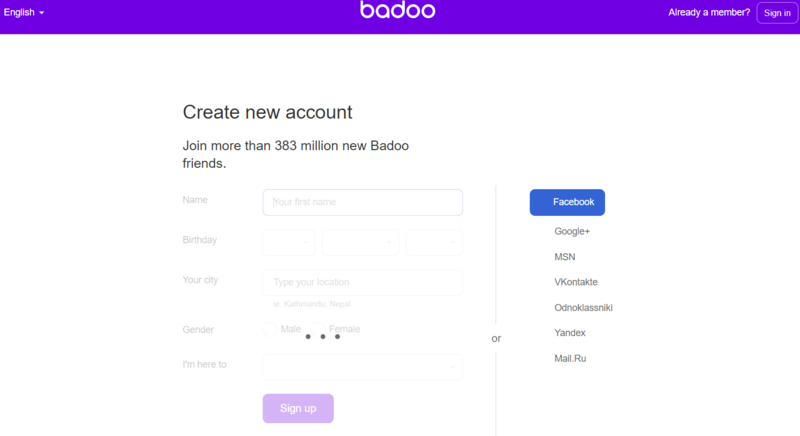 If you don’t want to delete Badoo Account permanently then you can hide the account which is like temporarily deactivate. 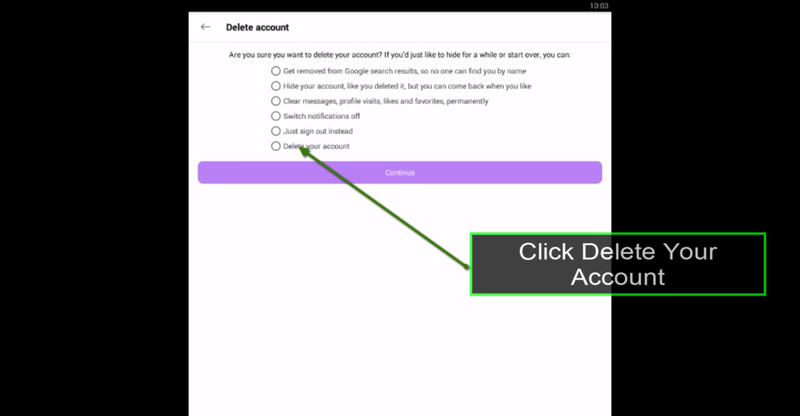 From the above points, you need to follow the same steps upto 4 but instead of taping on the “Delete account” text, you need to tap on the “Hide account” section. Then this will not ask you any authentication so, your account will be hidden as you get tick in the small box. After that, you can continue logging in any time. This entry was posted in Problems and Solutions and tagged badoo account settings, badoo sign in problem, cancel badoo account, delete badoo, Delete Badoo Account, delete badoo account iphone, delete badoo profile, delete my badoo account, how can i delete my badoo account, how do i delete badoo, how to delete badoo, how to delete badoo account, how to delete badoo account on android, my badoo, my badoo account on April 22, 2018 by admin.